Welcome to the www.soumissionassurancevie.ca Web site allows you to navigate the Web site, access and use the online life insurance quote request service without benefit to or assistance from financial advisors, financial planners, financial security advisors, realtors or financial institutions or other commercial activities. No one from an institutional establishment, neither private or governmental, whether it be from an elementary, high school, collegiate or of university level are allowed to provide any insurance recommendations via report card, email or any other means to their student and usage of the websites of Soumissionassurancevie.ca inc and subsidiaries for homeworks is stricly forbidden. This website is simply to request quotes for life insurance products such as disability insurance, mortgage insurance, critical illness, inheritance or group insurance. The information found on this Web site is to be used for informational purposes only and not to be considered as financial advice. A life insurance contract must be underwritten according to the laws and regulations of the Autorité des Marchés Financiers and the financial institutions involved. It is possible to sign up for certain life insurance products online without a life insurance representative. The analysis of financial needs. An obligation ! Contracts are not purchased over the phone! We are everywhere in Québec! We come to you, 7 days a week. We feel that it is a bad idea to purchase a life insurance policy over the internet or by phone. The proof of this is that clients often think they have purchased permanent life insurance when they have actually purchased temporary insurance with premiums that increase as they get older. We are independent underwriters and have no conflict of interest since are not affiliated with any particular financial institution. We do not accept gifts, trips, incentives, etc. from these institutions. Our goal is to guarantee the best rates for the product chosen after careful analysis of your needs. We have over 1000 brokers across Quebec! There’s no conflict of interests as we do not privilege a financial institution above another. We want to give the best premium available. We will go anywhere between 7AM and 8PM; 7 days a week. Agree to meet with an independent underwriter so that you know what you are buying. Ask to see the permit of the underwriter, who is registered with the Autorité des Marchés Financiers. Learn more. Ask questions and analyse your needs to be sure the product meets your requirements. You are willing to pay critical illness insurance premiums to protect yourself and your loved ones, so take the time to make sure you are getting what you need. Before completing a life insurance application with an insurer representative, make sure you understand the analysis financial needs that was completed with you and ask your questions! The financial needs analysis is not an option, it is an obligation and the insurance broker must comply with the Laws and Regulations of the AMF and the Chamber of Financial Security. Soumissionassurancevie.ca inc and its subsidiaries are equipped with various technological tools who can trace those to attempt to send viruses, repeatedly create fake quote requests, or any other means to undermine our positioning, false appointments and any other electronic ways to cause damage. Soumissionassurancevie.ca inc will sue any perpetrators of these acts. The insurance premiums and other financial information available on SoumissionAssuranceHypotheque.ca are for information purposes only. We do our best to provide regular updates, but this information comes from outside sources that we cannot control. We do our best to make sure the information on the Web site is as accurate as possible, but we cannot guarantee that the information will always be exact, complete and up-to-date. Therefore, we cannot be held responsible for the consequences of any inaccuracies due to errors or omission of this information, nor any prejudices that may result and we are not responsible for the reliability of the information on this site. However, we cannot be held responsible of the resulting inaccuracy, whether it be accidential and/or omission, nor prejudices and we take no responsability about the reliability of the information found on the website. Rates provided following your quote request are compliant to the financial institutions’ rates and it is strictly forbidden to tamper with them without the financial institution’s approval. It is up to the financial institution in question to grant a different rate category than the standard rate. These rate classes are granted based on your health, your healthy lifestyle and a handful of various factors. The financial institutions can grant you these rates and no else other than working under the Risk Selection or any related departments from these financial institutions can give you a discount rate. You also need to understand that no broker, insurance agent or customer service personel can provide you with a preferential rate. 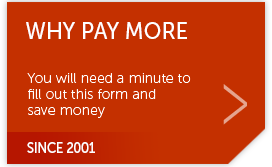 The rates provided through our forms are standard rates. Based on your information, if we believe that you can benefit from a better rate based on your excellent health (above average), we will provide you, for informational purposes, that you can benefit from a better rate according to the financial institution that will look over your request. The fact of obtaining rates other than the standard ones doesn’t commit the insurance, our company or its affiliates. The rates provided are solely for informational purposes and can vary based on multiple factors. We cannot be held responsible for the rates obtained by phone or email (or any other communication) by the employees of SoumissionAssuranceVie.ca et its affiliates. Please note that rates are subject to change. We update our information every 24 hour through the operating system we use to compare premiums. An insurance contract is given by the insurer based on the information you’ve given them. Following a thorough evaluation of your case, called insurance proposal, if there are any discrepencies between the rates we’ve provided versus the one given by the insurance company, the latter will be considered the official rate. The information provided is only for informational purposes and is not to give customers advice of a financial, judicial, fiscal, accounting nature or about investments and you must not rely solely on this information alone without consulting a professional adviser. A consultant can help verify that your personal situation has been handled properly and that the steps taken correspond to the most recent data collected. Some financial security advisors and/or other persons use our www.soumissionassurancevie.ca Web site as a point of reference to express their opinions, comments, experiences etc. through their blogs or by other means. We are not responsible in any way for their opinions and comments, and we cannot be held responsible for any information mentioned by them. These are their personal opinions and not those of www.soumissionassurancevie.ca, its subsidiaries and its owner. Furthermore, the blog and articles provided by the staff of SoumissionAssuranceHypotheque.ca are solely for informational purpose and as a mean to help understand the world of insurance. The articles are not in anyway recommendations or suggestions. www.soumissionassurancevie.ca has hyperlinks to other Web sites. www.soumissionassurancevie.ca accepts no liability for the operation or the content of third party Web sites, which are subject to their own conditions of use. Consequently, www.soumissionassurancevie.ca cannot be held responsible for any damages that may result, directly or indirectly, from the use, operation or content of the other Web sites. www.soumissionassurancevie.ca has no control in any way over the operation or content of these other Web sites and you agree that if you access them through a hyperlink on www.soumissionassurancevie.ca, you are doing so at your own risk. At its request, you agree to indemnify SoumissionAssuranceVie.ca, its affiliates, partners, subsidiaries, employees, contractors, brokers and leaders, in the event of liability, as well as claims and costs (legal fees etc.) resulting from your use or errors in the use of the site. Whenever possible, you will cooperate with SoumissionAssuranceHypotheque.ca in its defense wherein you will be required to offer compensation. You must understand the importance of any prejudice that you may cause us by your writings, comments, text exposure in whole or in part of our sites, text excerpts, blogs, content that you use to project a negative image on the networks social media such as Linkedin, Facebook, or others.